Located among the renowned Butler Chain of Lakes in Central Florida, Isleworth Golf & Country Club is home to one of the longest and toughest courses in the state. Isleworth’s magnificent greens, fairways and lakes are a sight to behold but beyond their beauty lies a golf challenge unlike any other. From its back tees, known as the Tiger Tees, Isleworth measures 7,544 yards with a slope of 142 and a rating of 77.5. 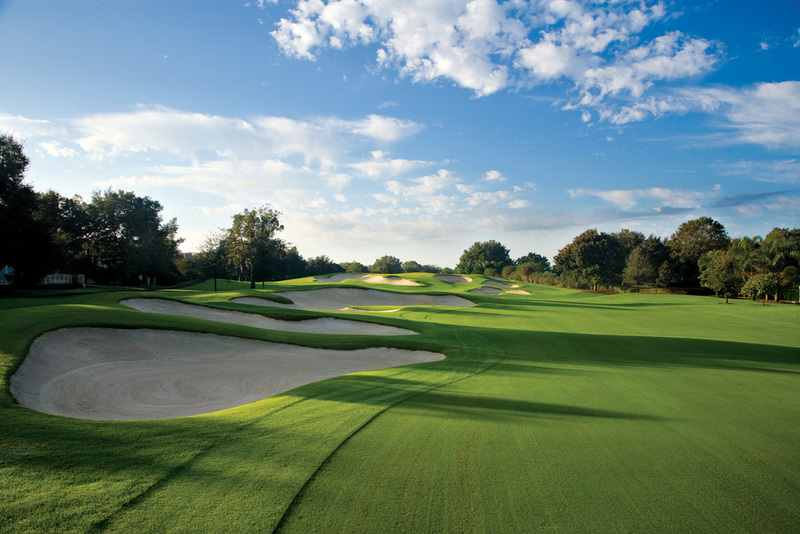 Originally designed by Arnold Palmer and Ed Seay with a re-design by Steve Smyers in 2003, Isleworth’s course demands precise drives and accurate short game shots.